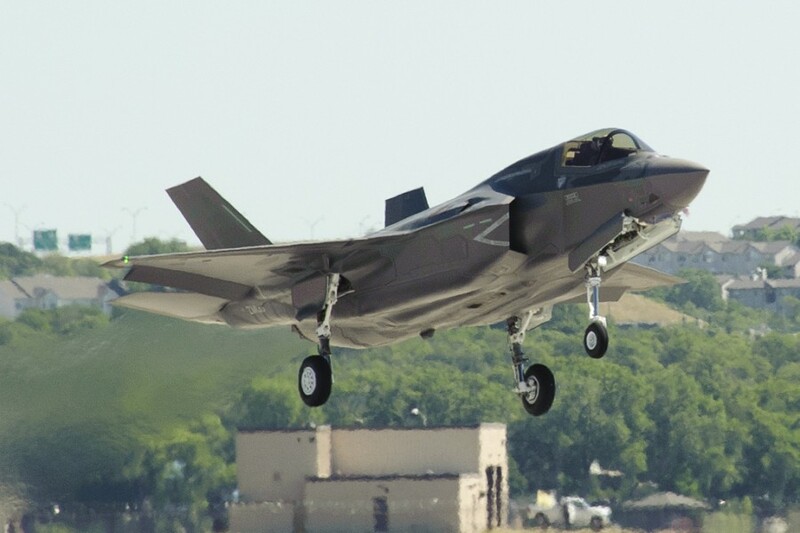 The U.S. Marine Corps on Monday said it would send a pair of Lockheed Martin Corp F-35 fighter jets to two air shows in Britain this summer , a key milestone for the $391 billion weapons program after its thwarted international debut in 2014. Some U.S. Air Force F-35 jets will also take part in the events, according to sources familiar with the plans. Air Force officials could not immediately be reached for comment. A fleetwide F-35 grounding ordered after an engine fire in 2014 prevented what would have been the jets’ international premiere at the annual Royal International Air Tattoo and an appearance at the world’s biggest air show in Farnborough, outside London, both that year. Since then, an F-35 jet assembled in Italy has made its inaugural flight there, but this year’s appearance at RIAT will be the first by the stealthy, supersonic new warplane at an international air show. “The U.S. Marine Corps is looking forward to demonstrating the capabilities of the F-35B Lightning II in the skies over the United Kingdom this July,” Deputy Commandant for Aviation Lieutenant General Jon Davis said in statement to Reuters. Davis said a joint U.S. Marine Corps and UK detachment would use the flights to validate overseas deployment activities and prove program interoperability. The Pentagon’s F-35 program office and Lockheed would support the work, he said. The UK defense ministry had no immediate comment. Lockheed is developing three models of the jet, also known as the Joint Strike Fighter, or Lightning II, with key suppliers Northrop Grumman Corp and Britain’s BAE Systems Plc . Pratt & Whitney, a unit of United Technologies Corp , builds the engines. Davis said lessons identified from the deployment would help the Marines as they set up a second F-35 fighter attack squadron this summer and prepare for the first one’s move to Iwakuni, Japan, in 2017. The Marine Corps in July announced an initial squadron of 10 F-35 jets ready for combat, making it the first U.S. military service to declare an “initial operational capability” for the F-35. The Air Force is due to follow suit this summer. The program, the Pentagon’s single largest weapons project, ran into technical problems and cost overruns for years, but U.S. officials say it has improved and that costs have fallen for the past five years. The Marine Corp’s F-35B model can take off from warships and aircraft carriers and land like a helicopter. The service branch plans to buy a total of 420 F-35B-model and C-model jets, which can fly onto and take off from aircraft carriers.